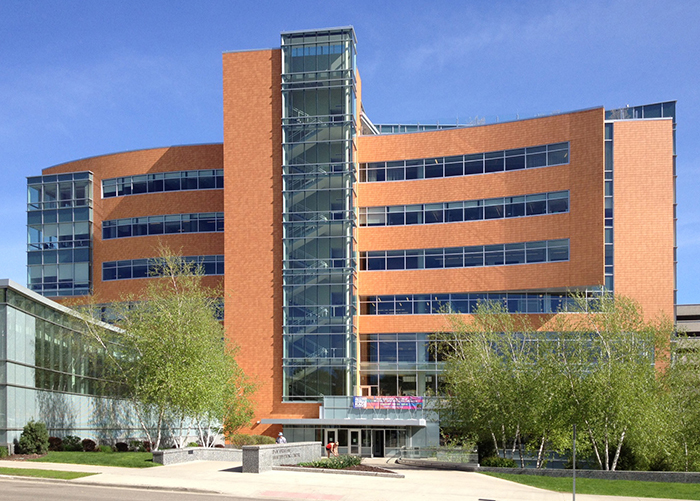 Located on the Mayo Clinic campus in Rochester, Minnesota, phase one of this 115,000 square foot health and wellness facility consists of a main building, three stories above and one below, adjoined on the south side by a one-story pool area. 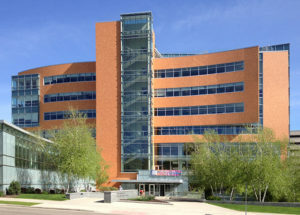 The building is connected to the larger Mayo Clinic tunnel network via below-grade pedestrian and mechanical tunnels. On the second level, a three-lane running track extends around the building perimeter. The infield portion is open, creating a clerestory between the roof level and level one with over-sized windows flooding the space with daylight. 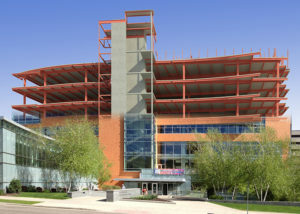 Construction of the four-story portion of the building is conventional reinforced concrete. Above-grade construction of the pool area, which contains a four-lane, 25-yard lap pool, is structural steel with metal deck. Other features are an additional separate exercise pool, cycling studio, café, child care center, locker rooms, and administrative space. A large open stairway connects the main floor of the complex to the lobby. 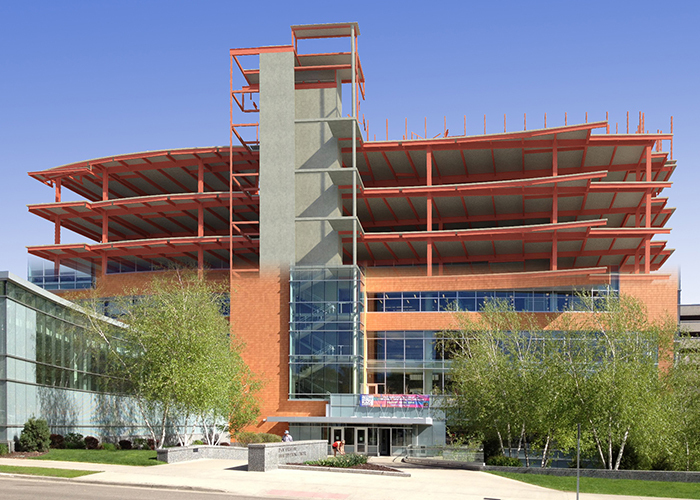 Phase two doubles the size of the current building by 95,000 square feet, adding four stories. Unlike phase one, the expansion is not a fitness facility but rather creates space for research and development of lifestyle behavioral change programs to treat medical conditions. Project design takes into consideration continued use of the facility during construction. Together both phases of the project total 210,000 square feet.